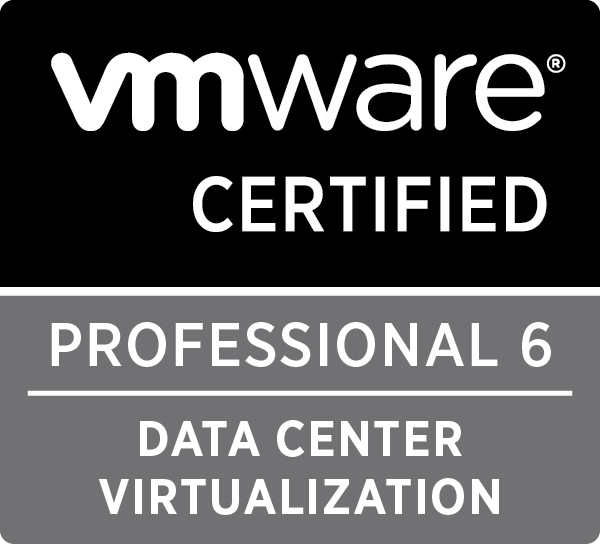 VMware vCenter Server™ 6.0 substantially improves performance over previous vCenter Server versions. This paper demonstrates the improved performance in vCenter Server 6.0 compared to vCenter Server 5.5, and shows that vCenter Server with the embedded vPostgres database now performs as well as vCenter Server with an external database, even at vCenter Server’s scale limits. This paper also discusses factors that affect vCenter Server performance and provides best practices for vCenter Server performance. Operational throughput is over 100% higher, and certain operations are over 80% faster. VMware vCenter Server™ Appliance™ now has the same scale limits as vCenter Server on Windows with an external database: 1,000 ESXi hosts, 10,000 powered-on virtual machines, and 15,000 registered virtual machines. VMware vSphere® Web Client performance has improved, with certain pages over 90% faster. The embedded vPostgres database supports vCenter’s full scale limits when used with the vCenter Server Appliance. 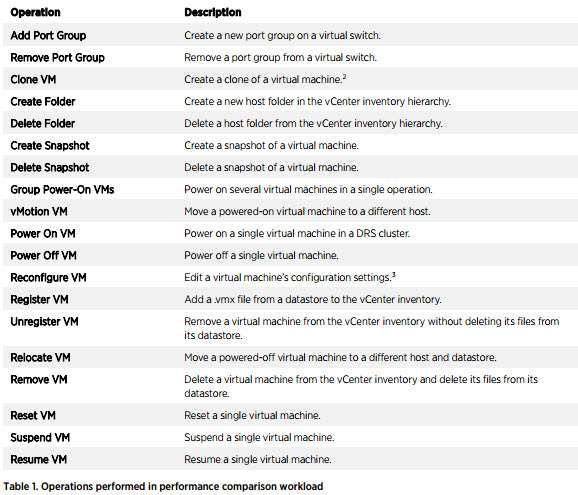 In order to demonstrate and quantify performance improvements in vCenter Server 6.0, this section compares 6.0 and 5.5 performance at several inventory and workload sizes. 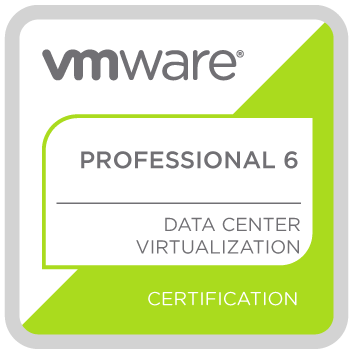 In addition, this section compares vCenter Server 6.0 on Windows to the vCenter Server Appliance at different inventory sizes, to highlight the larger scale limits in the Appliance in vCenter 6.0. Finally, this section illustrates the performance gained by provisioning vCenter with additional resources. Figure 3 shows vCenter Server operation throughput (in operations per minute) for the heaviest workload for each inventory size. Performance has improved considerably at all sizes. For example, for the large inventory setup (Figure 3, right), operational throughput has increased from just over 600 operations per minute in vCenter Server 5.5 to over 1,200 operations per minute in vCenter Server 6.0 for Windows: an improvement of over 100%. The other inventory sizes show similar gains in operational throughput. Figure 3. vCenter throughput at several inventory sizes, with heavy workload (higher is better). Throughput has increased at all inventory sizes in vCenter Server 6.0. Figure 4 shows median latency across all operations in the heaviest workload for each inventory size. Just as with operational throughput in Figure 3, latency has improved at all inventory sizes. For example, for the large inventory setup (Figure 4, right), median operational latency has decreased from 19.4 seconds in vCenter Server 5.5 to 4.0 seconds in vCenter Server Appliance 6.0: a decrease of about 80%. The other inventory sizes also show large decreases in operational latency. Figure 4. vCenter Server median latency at several inventory sizes, with heavy workload (lower is better). Latency has decreased at all inventory sizes in vCenter 6.0. This Oracle Databases on VMware Best Practices Guide provides best practice guidelines for deploying Oracle databases on VMware vSphere®. The recommendations in this guide are not specific to any particular set of hardware, or size and scope of any particular Oracle database implementation. The examples and considerations provide guidance, but do not represent strict design requirements. The successful deployment of Oracle on vSphere 5.x/6.0 is not significantly different from deploying Oracle on physical servers. DBAs can fully leverage their current skill set while also delivering the benefits associated with virtualization. In addition to this guide, VMware has created separate best practice documents for storage, networking, and performance. Oracle has a support statement for VMware products (MyOracleSupport 249212.1). While there has been much public discussion about Oracle’s perceived position on support for VMware virtualization, experience shows that Oracle Support upholds its commitment to customers, including those using VMware virtualization in conjunction with Oracle products. VMware is also an Oracle customer. The E-Business Suite and Siebel implementations of VMware IT are virtualized. VMware routinely submits and receives assistance with issues for Oracle running on VMware virtual infrastructure. The MyOracleSupport (MetaLink) Document ID 249212.1 provides the specifics of Oracle’s support commitment to VMware. Gartner, IDC, and others also have documents available to their subscribers that specifically address this policy. VMware support will accept tickets for any Oracle-related issue reported by a customer and will help drive the issue to resolution. To augment Oracle’s support document, VMware also has a total ownership policy for customers with Oracle issues as described in the letter at VMware® Oracle Support Affirmation.